F1-X is the first of the incredible theme parks that will open in Dubailand over the next ten years. F1-X is designed to bring the thrills and excitement of Formula one racing to its fans, close up and personal. 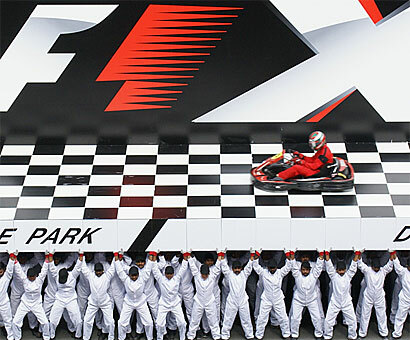 The first step was to reveal the logo at the Dubai Autodrome where Spectak, in association with Filmmaster's Dubai office, had two weeks to create the idea, then assemble and rehearse a cast of 220 performers to present the show on live television on the track between the GP2 Asian circuit races! Next step will be the opening of the theme park itself.